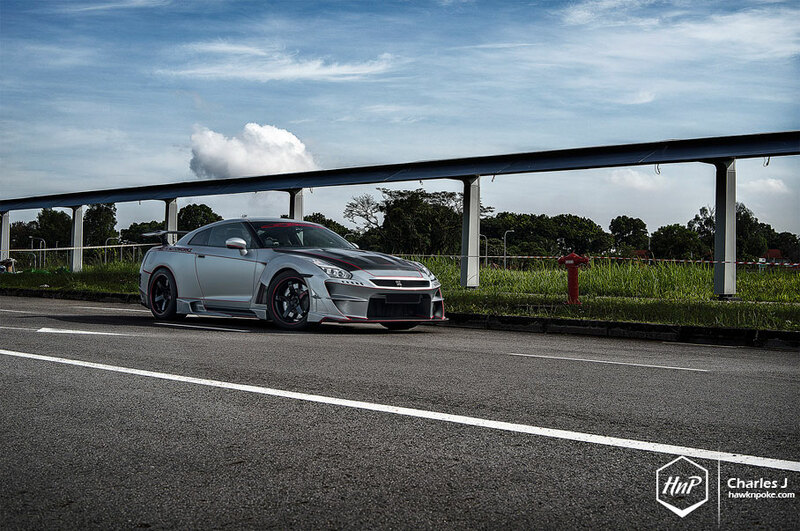 Ahh, another Godzilla at HnP. Aside from the overgrown irradiated lizard with glowing fins and devastating breath, it is also the popular nickname for the GT-R. 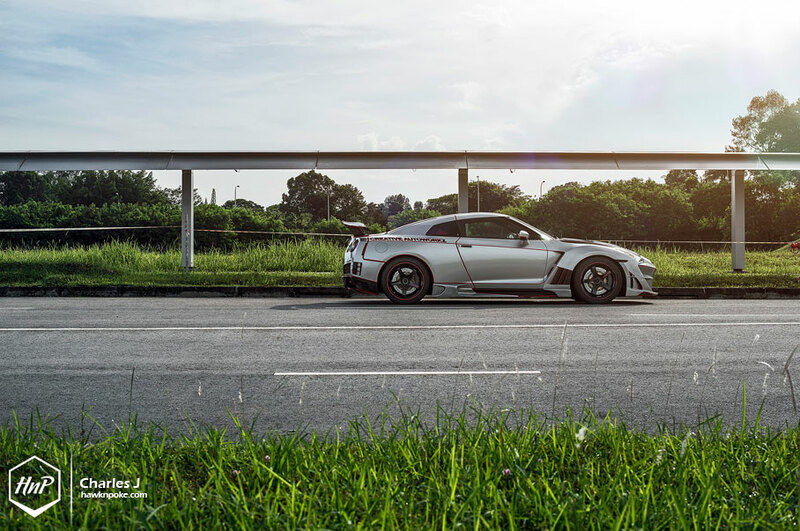 Given how large these overgrown Skylines have become and their highly-muscular performance, ‘Godzilla’ moniker surely sounded right. Continuing the R34’s success wasn’t exactly an easy task, given how well the world has praised the iconic GT-R name. 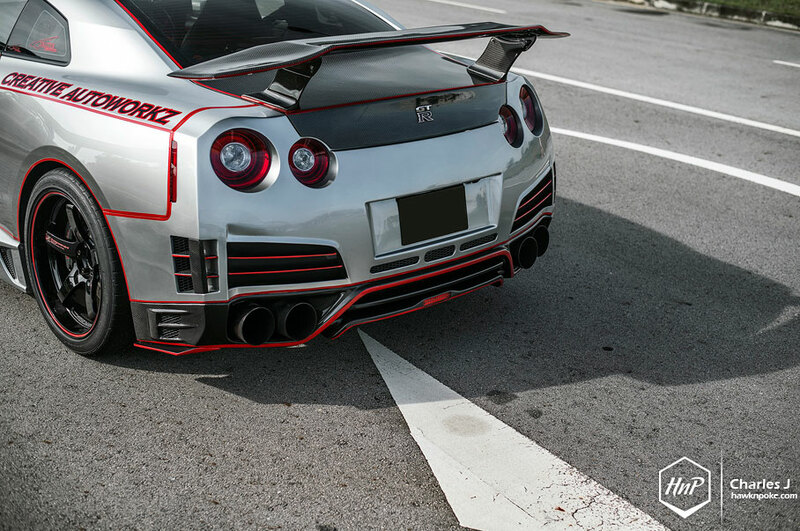 To tackle such a task, Nissan has equipped the R35 GT-R with some of their most advanced engineering capabilities. A specifically-made Godzilla-spec engine is now living as its beating heart. 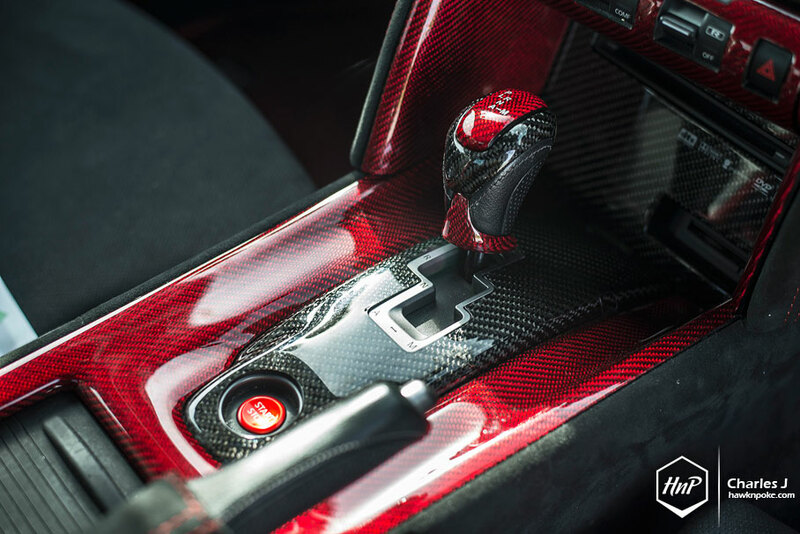 All powerful, 3.8L V6 twin turbo capable of devouring exotic sportscars. Such engine alone is a success for Nissan. 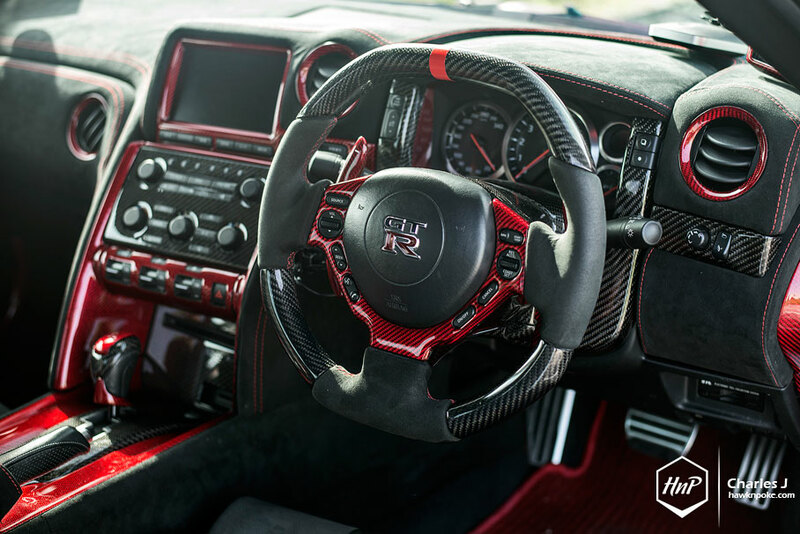 Previously owned a selection of alluring cars, notably modified Mitsubishi Airtrek Turbo, Toyota Mark X, and BMW Z4M, this GT-R became the owner’s latest creation. Ever since day 1, his Godzilla has been destined to follow his past rides’ fates: bought to be modified. 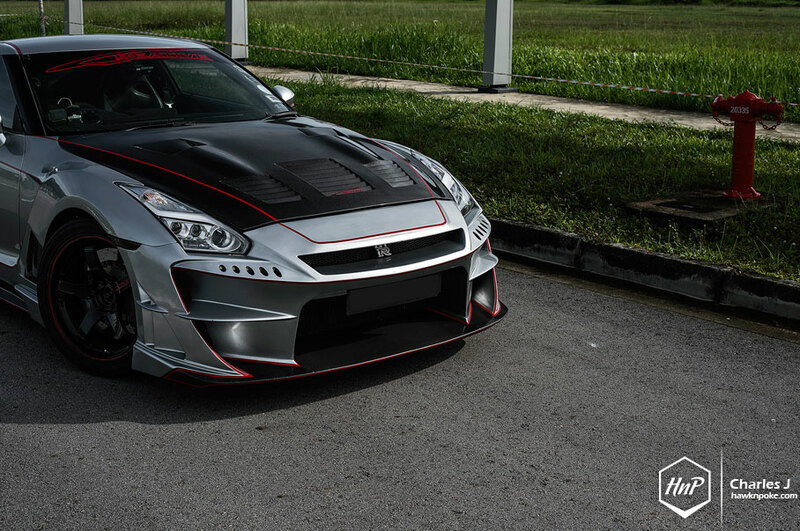 Aggressive exterior overhaul ticked the owner’s top checklist, deeming the stock GT-R as way too subtle for its performance. 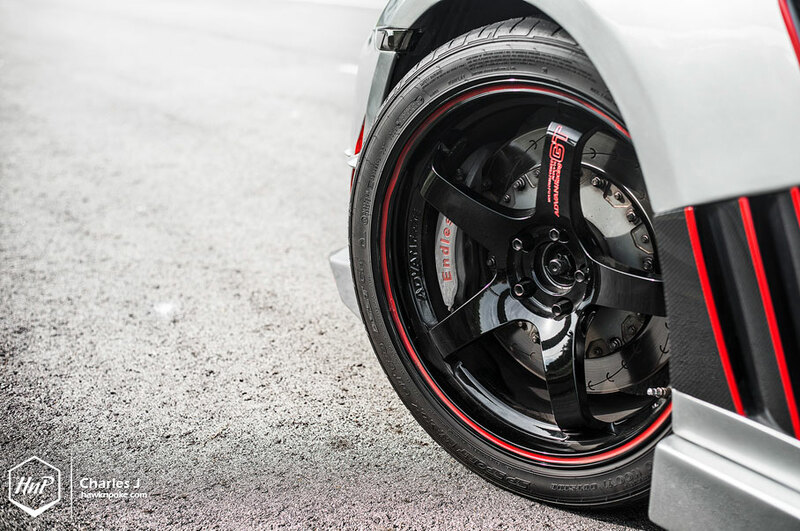 A complete set of bodykit soon found its way into the build, complete with ADVAN GT wheels and neck-breaking 400MM Endless big brakes. Yet it’s not all about style either. This build-in-progress is currently undergoing a deeper and more thorough performance upgrades. Currently under the hood you can find GT1000 intercooler, modified piping kit and fuel systems, along with 1000cc injectors and Boost Logic manifold. 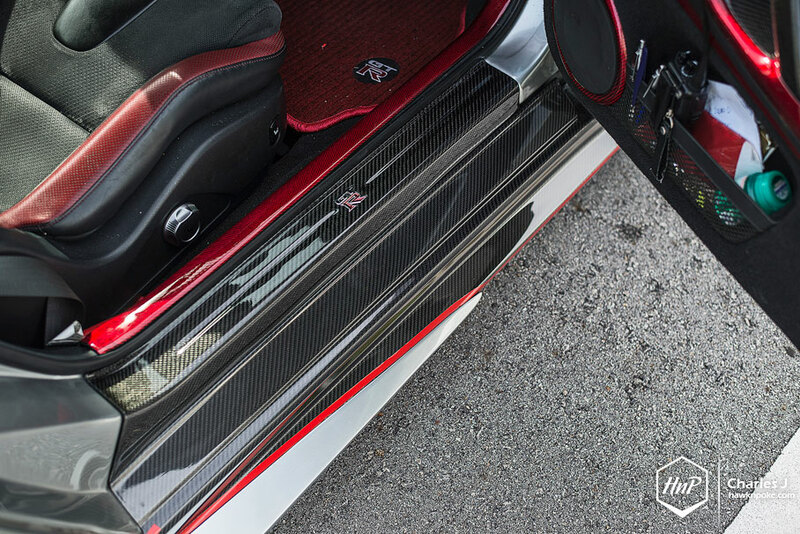 Owner’s love for everything carbon and red results in such a look you see today. Granted, such Tron-inspired lines might not be up to everyone’s tastes. Yet I do find them borderline-appropriate for the wilder performance rides. It’s not even a rare occasion to find Lamborghini’s done in the same fashion nowadays.